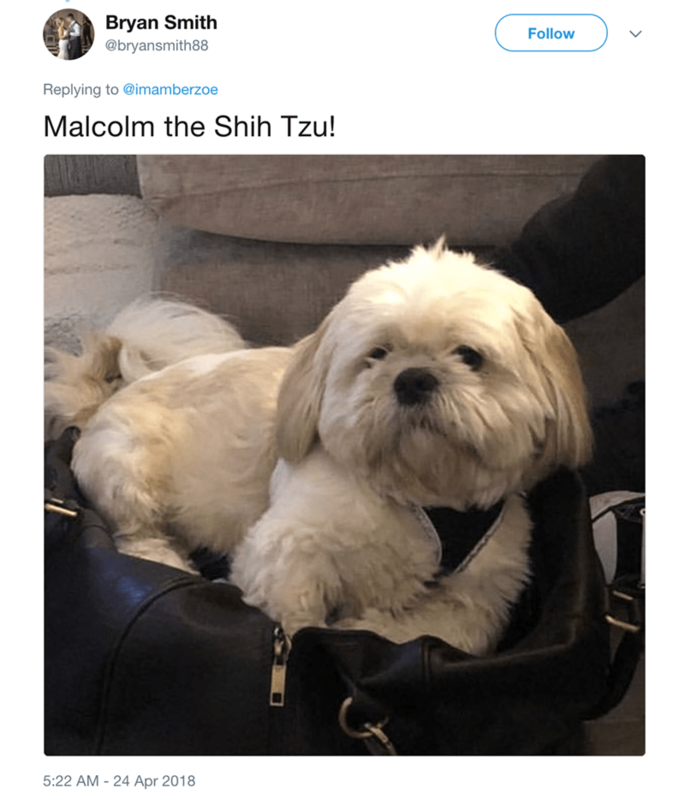 Pets with human names are becoming the new norm. After all, what else are you supposed to name your adorable pet? 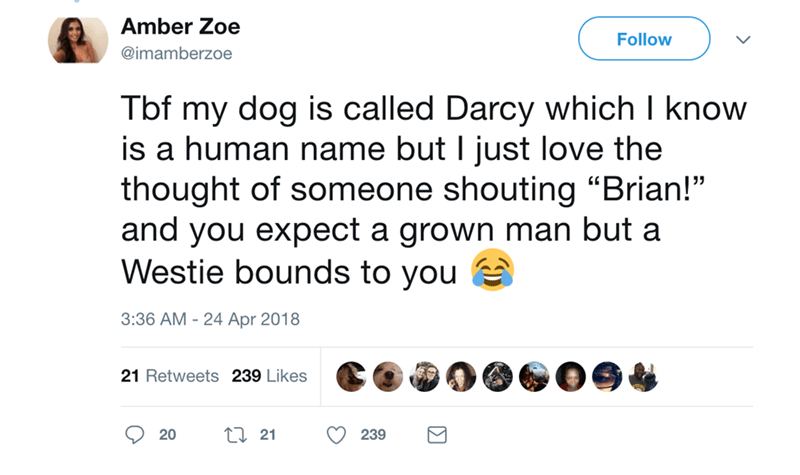 And to be honest, nothing is funnier than hearing a human name, expecting a guy, but instead seeing a fluffy doggo running towards you. That is exactly what happened with one Twitter user. 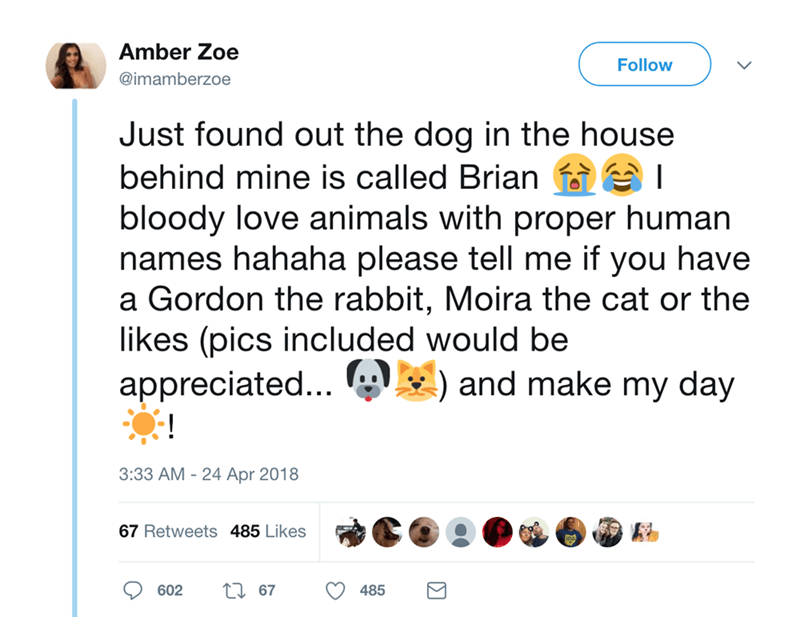 When she heard someone call out Brian, she thought it would be a guy, but instead, she saw a dog. Now that is a surprise I would like. 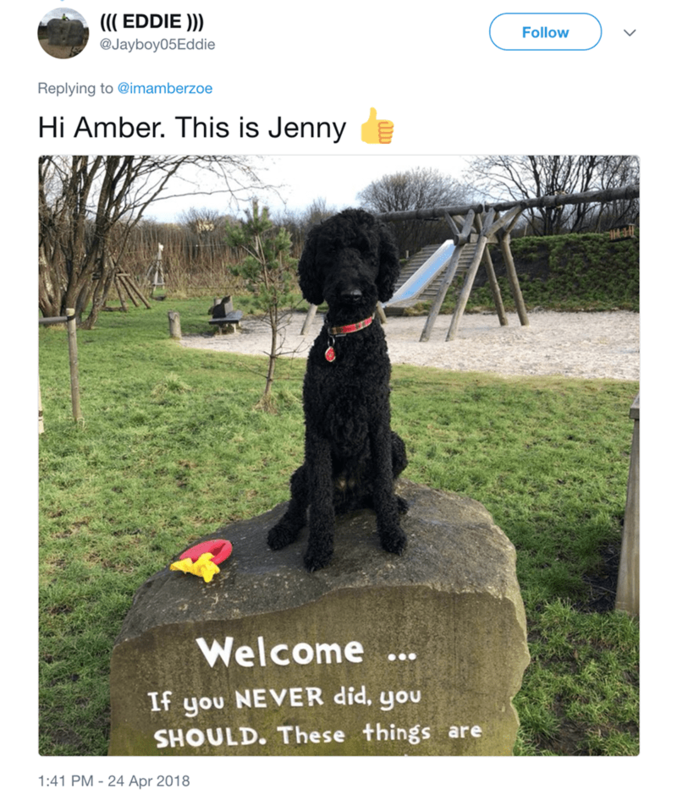 Probably the reason she asked other Twitter users to tell what they name their own pets. 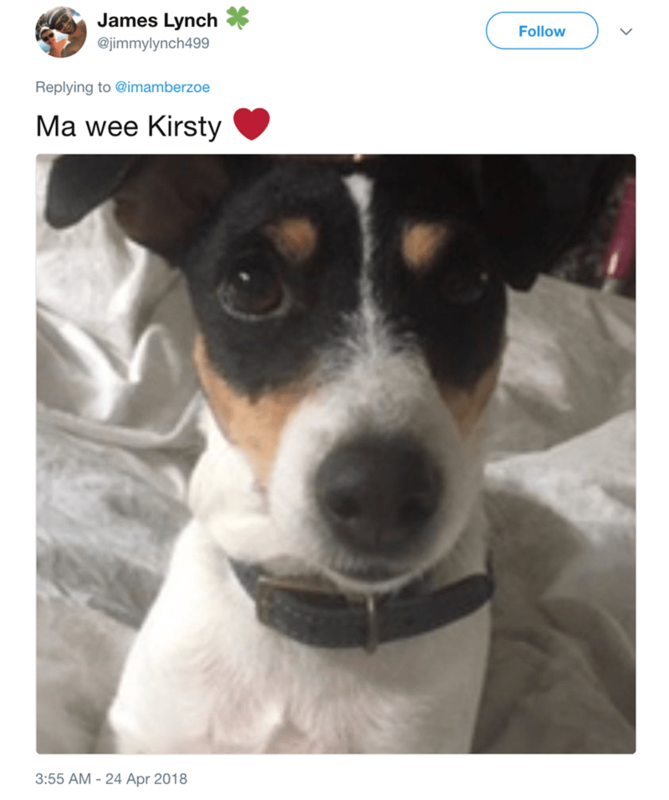 So scroll on below and take a look at what many people named their pets. All I can say is, I know what I am going to name my cat when I get one. Who wouldn’t love this surprise? To be completely honest, he does look like a Ralph. 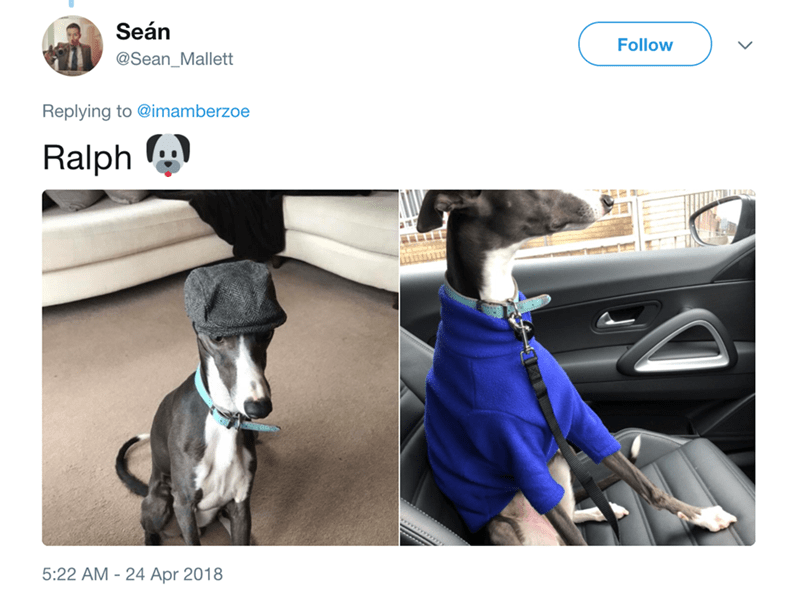 Love the dog in the funny hat. I would love to meet Michael. 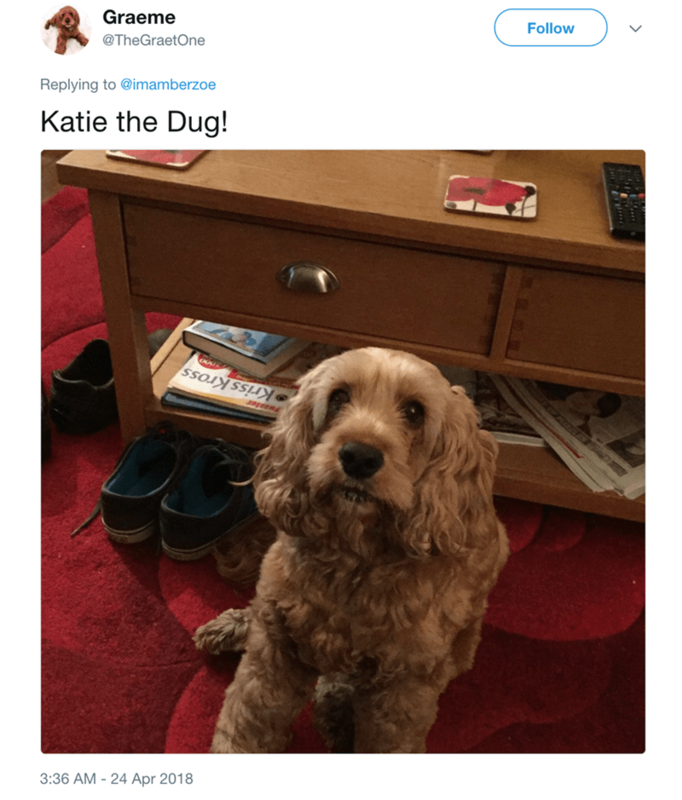 I’m assuming he meant to say dog. Darn it; I can’t even find a bottle with my name. 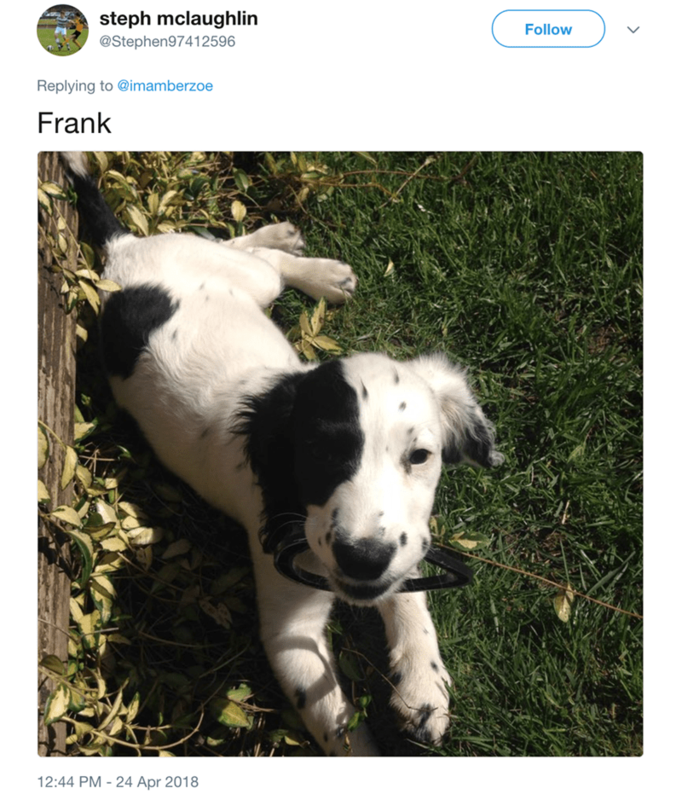 Frank sure is a happy boi. 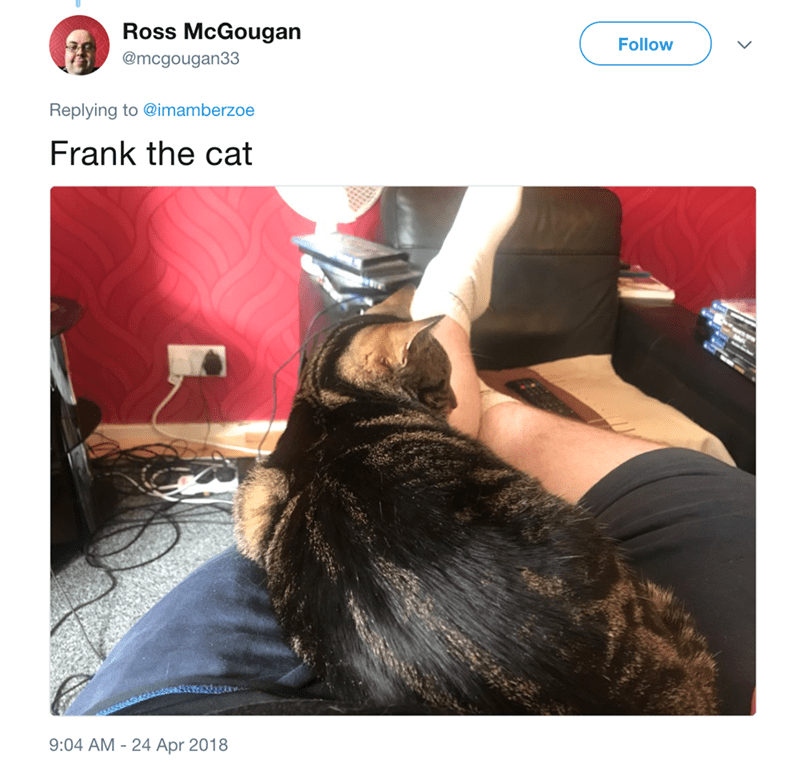 It seems Frank is a popular name for pets. 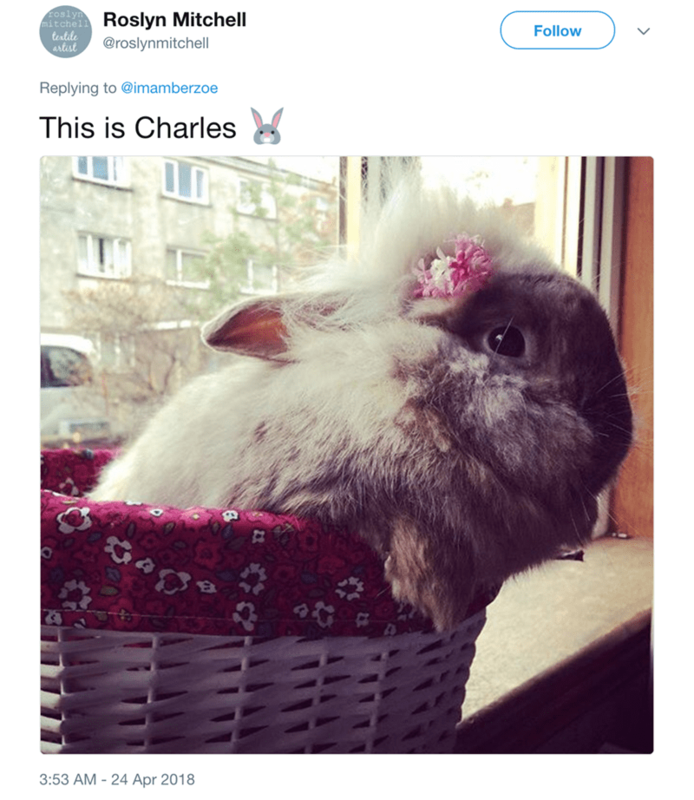 Charles looks quite dashing with that flower. Who needs a bed when you got a bag to squish? I’m actually more interested in what the stone beneath her is saying. 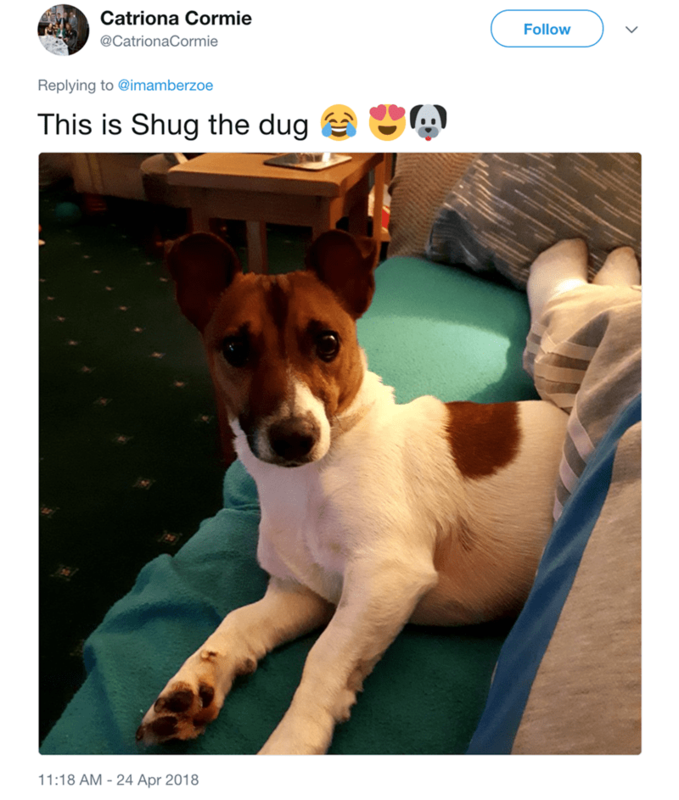 Wait, Shug is a human name? You learn something new every day. 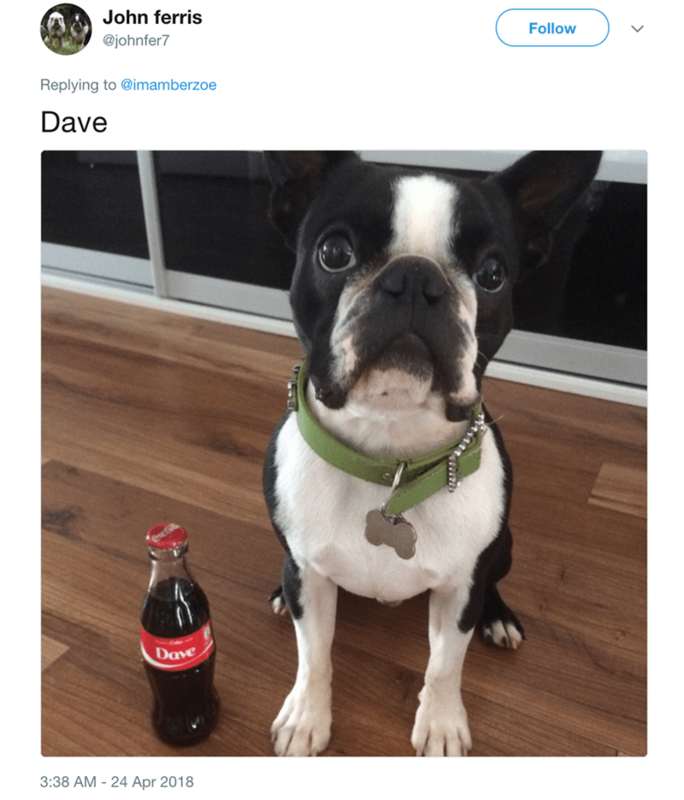 Does your pet have a human name too or do you think it is a bit too weird? Comment down below and let us know.